Imagine being told by your provincial government that you have to remove your pants before entering your work place. No slacks, no trousers, no sweatpants, no shorts, no skirts. Only underwear would be permitted. You are welcome to wear pants in the comfort and privacy of your home, and while going about your daily life, but not while on the clock. Would you feel exposed without pants? Would it upset you enough to march in the street with other pants-wearing citizens? Would you consider a move from the province in protest? Should the government be able to tell you what you can and cannot wear at work, and declare that covering the lower half of your body goes against the province’s values? Well, this may soon be a similar reality for thousands of Canadians as the Parti Quebecois’ proposed Charter of Values is set to be tabled Thursday. The bill would make it illegal for public sector employees to wear head scarves, turbans, yarmulkes and large crucifixes at work. For many like me, these articles of clothing are more than just religions symbols. As a Muslim woman wearing a hijab for almost two thirds of my life, it’s a huge part of my identity. Just as you might feel exposed leaving the house without pants, I would feel naked without my scarf tightly wrapped around my head every day. Religion aside, wearing a hijab is so engrained in my daily life -- carefully choosing from my colourful collection of scarves each day, being greeted with a knowing smile by other Muslims at work, and having my colleagues know a little bit about me without ever having to discuss my religion with them. The way others may chose to express themselves with funky socks, red lipstick, or snazzy ties, my scarf is my silent expression of my faith and it’s really for no one else but me. 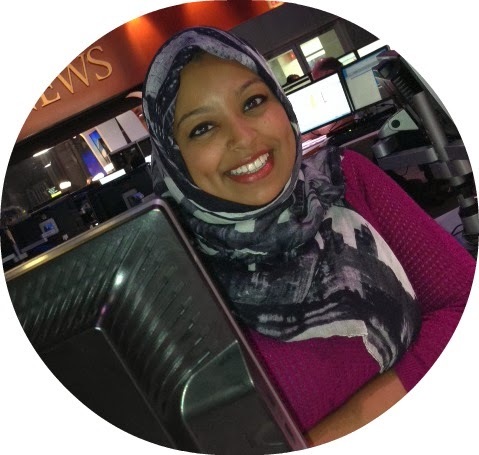 Wearing a hijab has never stopped me from achieving my goals -- if anything, it has pushed me to break through the stereotype of the “oppressed Muslim woman.” As a child, I always dreamed of becoming a journalist. I work in a job where my employer values me for what’s in my head, rather than what’s on it. I could never imagine being forced to give up my career, not because I wanted to, but because someone else had decided that the piece of cloth on my head doesn’t belong. I’m so grateful that I don’t have to face that reality. But so many of my fellow Canadians may soon have to. Imagine, Quebec’s younger generation of Muslims, Sikhs, and Jews having to give up on dreams of becoming doctors, teachers, and police officers. At its basic core, the Parti Quebecois' Charter of Values is state-sanctioned workplace discrimination. This legislation claims to promote equality in Quebec’s society, but would instead create more barriers to prevent many from achieving just that. The best part about being Canadian is knowing that the Charter of Rights and Freedoms protects me. I cannot be discriminated against for my gender, race, sexual orientation, political belief or religion. The PQ’s proposed Charter of Values is an affront to all of that. And that's not the Canada I know and love.